Beirut, Riyadh – The Syrian opposition kicked off on Monday its meetings in Riyadh, amid little hope over the possibility to reach consensus over disputed issues, in particular the transitional phase and the fate of Syrian regime head Bashar al-Assad. Well-informed sources in the High Negotiations Committee (HNC) said they expected the talks to end with the formation of a single opposition delegation with divergent views, in wake of each party’s adherence to its own stances. While the meetings were held on Monday with much secrecy, the HNC issued a statement saying that the opposition had convened in a morning session, which brought together 23 representatives from the HNC and the “Cairo” and “Moscow” platforms, to discuss the transitional governance phase and Assad’s fate. The statement added that the representatives met with Saudi undersecretary for foreign affairs Adel al-Mardud for an hour and a half, during which they discussed the importance of reaching a single vision that represents the Syrian opposition and preparing for the second round of Riyadh talks. “Based on the meetings of the first day, we can say that the rate of optimism does not exceed 40 percent. It is likely that the HNC and the Moscow and Cairo platforms will head to the Geneva negotiations in one delegation, while recognizing that it is impossible to agree on a unified vision regarding the transition and the fate of Assad,” the HNC sources told Asharq Al-Awsat. Meanwhile, a source in the Syrian opposition told Asharq Al-Awsat that real efforts were being exerted by the opposition parties in Riyadh to unite their ranks and agree on the principles of a political solution, pointing out that the current divergence of views was mainly about the time left for Assad in power and the transitional rule. 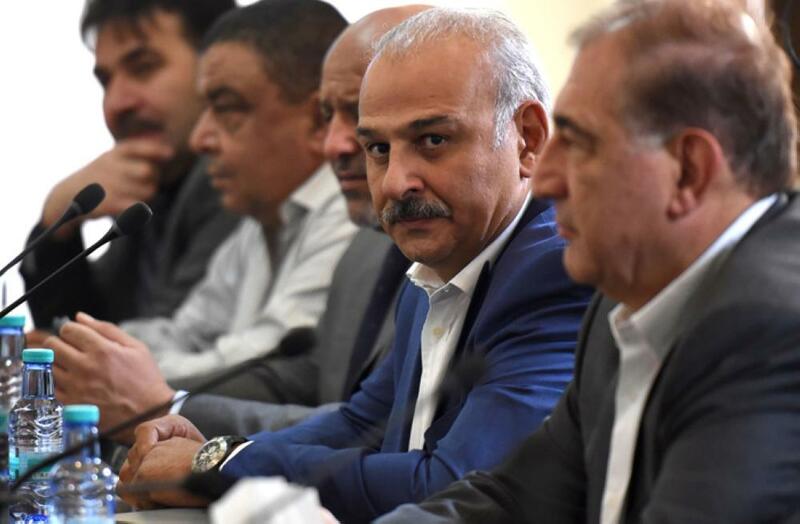 The HNC stressed its rejection of Assad in power even for an interim period, while the Cairo platform had expressed its refusal to any role for the regime and its leader in Syria’s future. On the other hand, the head of the Moscow platform, Qadri Jamil, proposed a solution to keep Assad in power and appoint five deputies, who would represent him in parliament, a proposal strongly rejected by the other opposition parties.